Hearken back to a time when games were simpler; when characters and the world around them were made up seemingly of dots. All it took to be a hero was a heroic lineage and a sword. After all, it’s dangerous to go alone. Then battle the Dark Lord; you know, the one trying to conquer the world. Then make the game pop in three dimensions, mix dialog and game play from the best of those games… and you have this. If you liked Zelda: A Link to the Past, Dragon Warrior, Final Fantasy, etc… all these games play a part in this. If not a major part, it is referenced in key items, dialog, various other portions… Beginning the game you’re told you’re of heroic lineage, and that the world is going to be overrun by evil. You must save the kingdom of Dotnia. It all seems very Dragon Warrior-esque until the king says it… “It’s so dangerous to be alone! Take this!” Then starts the Zelda game play. The world map, the item screen, the laser beam shooting swords… even some of the enemies are taken right out of Zelda. Why is this a pro? A game blatantly steals from other games, yet it’s good? Well, From Software did such an amazing job on it that there’s no way it couldn’t be a pro. The familiarity, the nostalgia factor, yet the newness makes this such an amazing game – you really have to experience it to understand. Oh, and let’s not forget about the AMAZING loading screens. I actually un-installed the game so I could see these more often. 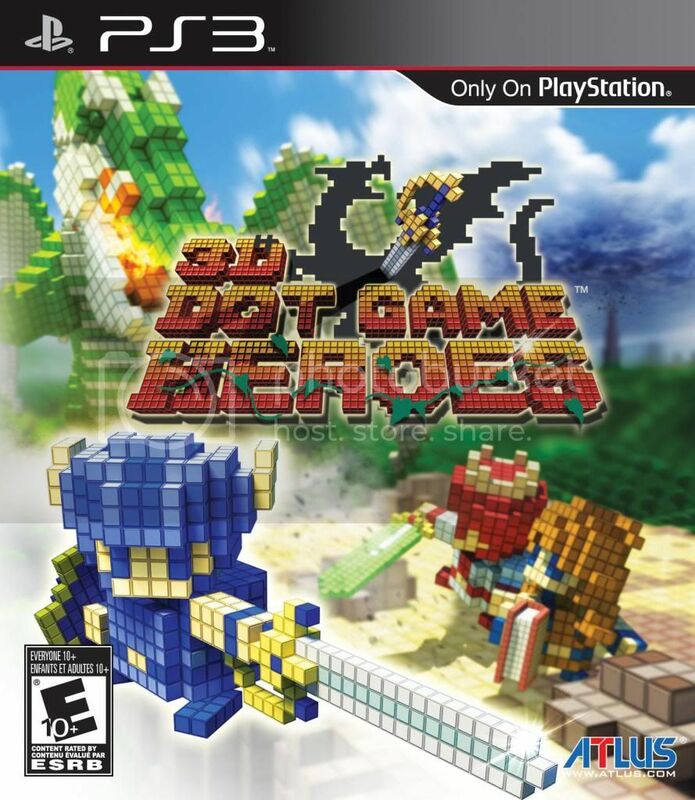 They take other games and remake them in the 3D Dot art style. Some of my favorites that I saw were Mega Man and Castlevania. I guess if you want something completely new, this isn’t the best game for that (but honestly, most games are never 100% original). Or if you have something against old games, or even parodies of games; after all, that’s what this game is all about. Also, the collision detection isn’t always the best in terms of blocking with a shield (most notably seen when collecting bosses for the bestiary). And I suppose if you play games to get platinum trophies, this one will take you a while… if not for all the collecting and farming of money, then for the third play through of not ever getting touched. Craziness. I got Mr. Perfect in Mega Man 9 and 10… but even I think that’s ridiculous. This game… it’s for everyone that ever liked the old Action/RPG games on NES and SNES. If you didn’t like them, I suggest you stay away. But if any part of you ever wanted to play one of those games again… well, here it is. In all it’s glory.